In their Energy & Environmental Science Garcia et al. report a highly efficient catalyst that enables an industrial reaction to produce hydrogen to be carried out at ambient temperature using only the power of sunlight. Hydrogen has generated a great deal of interest as a clean and efficient energy alternative to fossil fuels. The authors showed that gold nanoparticles supported on TiO2 could efficiently catalyse the water gas shift reaction, which converts carbon monoxide and water from steam reformation of methane into hydrogen and carbon dioxide, using light irradiation. The scientists tested a variety of TiO2 and CeO2 catalysts and showed that the TiO2/Au catalyst produced more than 10,500 µmol hydrogen per gram – more than twice the amount of the next most efficient catalyst. Parting with ideas previously reported in the literature, Scientists based at Washington State University and the Pacific Northwest National Laboratory in the USA found that the metabolic activity of a Geobacter sulfurreducens biofilm were higher at the surface of the film due to low porosity, with acetate unable to penetrate further in. They found, however, that long-range electron transfer was not restricted by electrical resistance through the biofilm. The results could help researchers optimise the conditions needed for maximum microbial fuel cell performance. Scientists in the US have developed a new lithium/polysulfide (Li/PS) semi-liquid battery for large-scale energy storage, with lithium polysulfide (Li2S8) in ether as a catholyte and metallic lithium as an anode. As the catholyte is designed to cycle only in the range between sulfur and Li2S4 it avoids detrimental effects due to the formation and volume expansion of solid Li2S2/Li2S. This proof-of-concept Li/PS battery can reach 170 W h kg-1 and 190 W h L-1 at its solubility limit. It achieved an energy density of 108 W h L-1 and 97 W h kg-1 based on the mass of the polysulphide catholyte and lithium. The cost of raw materials in this system was as low as $45 kW h-1 and $145 kW-1. Moreover, no expensive ion-selective membrane is needed for this system. A new way of making semiconducting perovskite-based solar cells could result in photovoltaic devices that are 70% cheaper than current commercial models. Although dye-sensitised solar cells (DSSCs) have been leading the charge in cheap-to-process cell designs, semiconducting perovskites have been used in recent years to replace the sensitiser in the DSSC architecture. Whilst this reduces the interfacial energy loss that plagues DSSCs, the metal oxide support layers still need to be sintered at 500°C, which is costly. Continuing their work on a ‘meso-superstructured’ solar cell, where they simplified the design of semiconducting perovskite solar cells, EES Advisory Board member Henry Snaith and his group at the University of Oxford have used colloidal chemistry to deposit a support layer of aluminium(III) oxide. The highest temperature this method needs is a 150°C drying step, which will not only result in cheaper devices, but could also lead to better designs. Although his device’s 12.3% efficiency is enough to rival the very best dye-sensitised solar cells, Snaith is still looking to improve efficiency, as well as stability, on his way to producing a commercial device. He is already predicting that his device will be much cheaper than existing silicon ones. 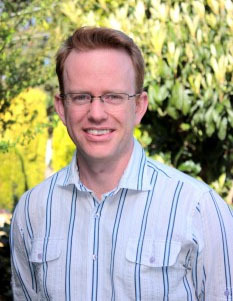 We are pleased to announce that Dr Chris McNeill of Monash University in Australia has joined the Advisory Board of Energy & Environmental Science. Chris obtained his Bachelor of Mathematics, Bachelor Science with Honours and PhD from the University of Newcastle, UK. He spent six years at the University of Cambridge, UK, as a Research Associate and an EPSRC Advanced Research Fellow, before taking up his position as Senior Lecturer and Future Fellow with the Department of Materials Engineering at Monash in 2011. His research interests include organic semiconductor device physics, polymer solar cells, organic field-effect transistors, structural properties of organic semiconductor films and synchrotron-based soft x-ray techniques. Nitrogen doping of carbon-supported electrocatalysts is known to lead to a performance boost, although the reason why has not been clearly understood. This fascinating Energy and Environmental Science article contributes to a greater understanding of the effect. 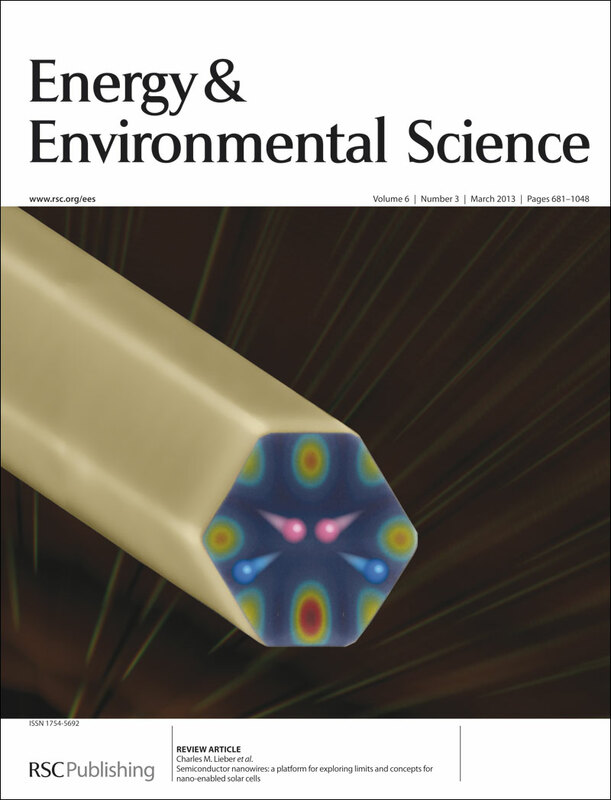 Using principal component analysis (PCA) of electron energy loss spectroscopy (EELS) data, scientists from the Colorado School of Mines, Golden, CO in the USA, have made a direct observation between spatial relationship between a carbon-supported metal catalyst nanoparticle and surface-adsorbed nitrogen. The study correlates improved catalyst-support interactions with high substrate nitrogen content in the immediate proximity of stabilised nanoparticles. The insights are applied to a prototype methanol fuel cell, which benefits in terms of performance and long-term stability. Scientists studying how thermoelectric power generators can be used to ‘scavenge’ electricity from waste industrial heat have discovered that the devices work more efficiently when they are pulsed with periodic waves of heat, rather than subjected to a constant heat source. Thermoelectric generators convert heat into electricity directly, and do not feature any moving parts. They show great promise for electricity generation in factories, power plants, cars and even with solar conversion reactions. A great deal of research effort has gone into enhancing the efficiency of the devices, but this approach represents a cost-effective route towards even better performance. The World Energy Council has officially launched the “Tomorrow’s Energy Prize”, a US$60,000 competition to recognise the most outstanding papers submitted to the World Energy Congress, which takes place in Daegu, Korea, from 13 to 17 October 2013. The winning paper in each category will receive US$10,000. The deadline for submissions is 31 March. Further information for potential authors can be found at the official Congress website www.daegu2013.kr. Direct enquiries can be made to Ms Charlotte Connick at connick@worldenergy.org or to Mr Yonghyuk Choi at yong@daegu2013.kr. It’s always interesting to see what people have enjoyed reading over the past year in Energy & Environmental Science. In 2012 the articles cover a range of topics from advanced batteries to thermoelectric materials to solar cells including comprehensive reviews, original research and some personal Perspectives. Please do take a look – we are confident you’ll find something of interest. Our free table-of-contents e-alert allows you to keep up to date with each issue as it is published. On behalf of Editor-in-Chief Nathan Lewis (Caltech) we invite you to submit your best research to EES in 2013. Dye-based solar cells that use photonic crystals to boost efficiency have been developed, and could find application in the production of photovoltaic windows. A team of researchers from Spain has studied how the current produced from a photonic-crystal dye-based solar cell (PC-DSC) varies according to the angle at which light strikes it. They found it was possible to fine tune the design of the cell’s photonic-crystal back mirror so as to minimize efficiency losses associated with light approaching from an angle. Dye-based solar cells often employ back mirrors, which reflect light back into the device that would otherwise pass straight through it, thereby increasing efficiency. Designing these back mirrors from photonic crystals ensures the solar cells remain optically transparent, making the technology idea for the development of light-sensitive window panes.